Potentilla fruticosa of Michigan Flora. Wet open ground and thickets around lakes and streams, especially calcareous interdunal flats and rocky shores; fens, and open sedgy conifer swamps (especially with tamarack), an indicator of alkaline conditions, meadows. 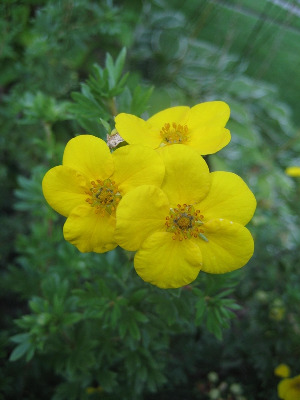 The numerous bright yellow flowers make this an attractive shrub for cultivation, and it is sometimes grown as an ornamental. MICHIGAN FLORA ONLINE. A. A. Reznicek, E. G. Voss, & B. S. Walters. February 2011. University of Michigan. Web. 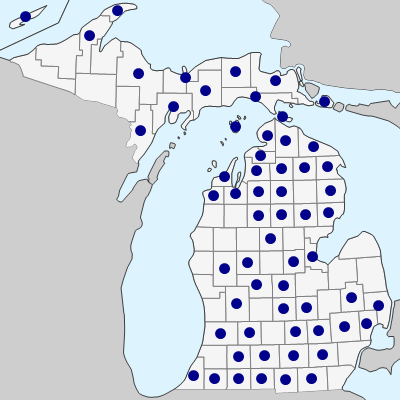 April 19, 2019. https://michiganflora.net/species.aspx?id=2504.